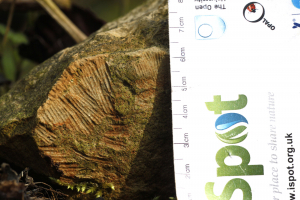 Observation - fossil or teeth marks? - UK and Ireland. Description: Likely a mouse eating this lump of chalk? Likely a mouse eating this lump of chalk?